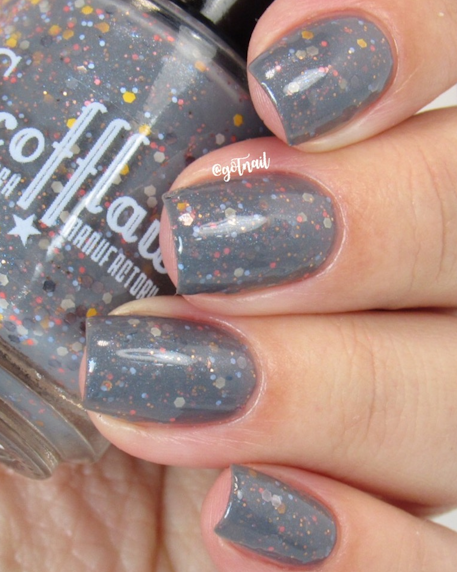 Jackalope by Scofflaw Nail Varnish. 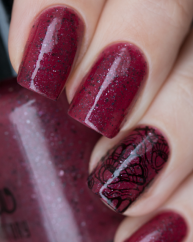 A rich chocolatey brown polish with turquoise shimmer, highlights, and flakes. 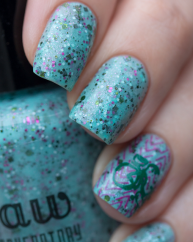 It features glitters in various sizes of teal, white, and brown. It is typically opaque in two coats.